My company leadership believes in education. Our chairman and founder Dr. Bernie Mullin co-authored the ‘Sport Marketing’ textbook, now in its fourth edition. Continued education is fundamental to our company DNA at The Aspire Group. Therefore, in conversations over my nine-plus year relationship with Bernie, we would constantly discuss higher education. Furthermore, growing internally within the organization required insights into areas outside of our core functional expertise. For me, graduate education and the in-class environment within a top Executive MBA program would enable me to be exposed to a vast subject matter and learning styles. This cross-functional learning gave me greater comfort in analytics, finance, accounting, strategy and leadership. 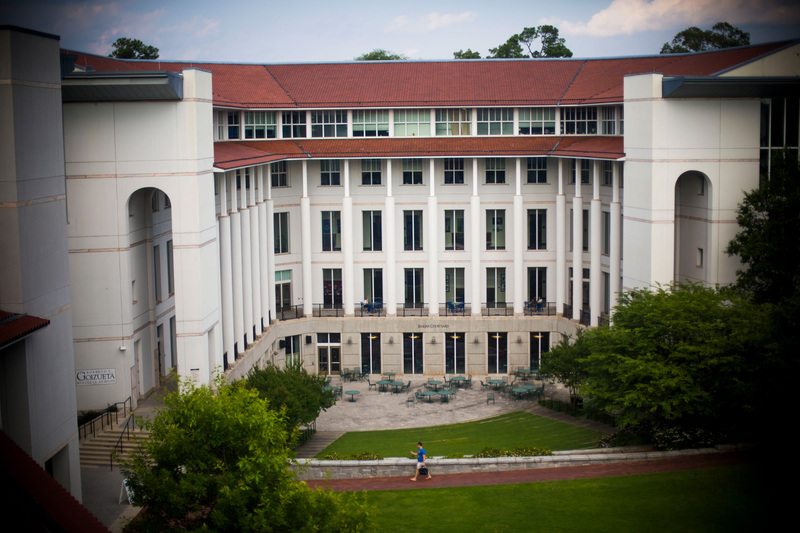 The experience at Goizueta’s WEMBA program exceeded my expectations. Eagles fly with eagles and being surrounded by a cohort of eagles was both challenging and invigorating. The course work, diverse team collaboration and beyond the classroom team building exercises completely changed the way I operate every day of my life. I view challenges from a new lens and will forever have a cohort of alumni who I expect to be lifelong friends. During the program, I was fortunate to receive a promotion to chief operating officer within my current company. I wouldn’t have been prepared for the dynamic challenges we face daily, had it not been for my MBA experience at Goizueta. Analytics was a blind spot for me going into Goizueta. Post graduation, this has transformed into a strength for me, whereby I now oversee our Performance Analytics function for our entire organization. ‘After Action Reviews’ (AARs) — Thanks to group and team exercises throughout my education at Goizueta, it became a standard to perform AARs following team projects. This practical exercise enables a feedback loop and continuous learning applicable back at the office. ‘Team Charters’ — The concept of actually writing out roles and responsibilities with a new team, and taking advantage of team members strengths sounds like common sense. Yet, prior to Goizueta, I had never been through this meaningful exercise which enables better teamwork and collaboration. The Goizueta experience has provided me a platform to further develop my executive presence. I am more worldly, more self aware, a better teammate and leader. The program reinforced some strengths I was aware of, while also opening my eyes to emerging strengths and areas for continued development. I learned that I enjoy presenting in front of an audience and being at the edge of my comfort zone because that is how you grow. I learned that a well balanced, trusting team is more powerful than any obstacle or any individual contributor. I learned that I can be both a leader or in a support role and still add value to the team/organization. I enthusiastically support those considering furthering their education to select Goizueta’s MBA program when the time is right for them. It is important to manage the expectations of the stakeholders in your life prior to enrolling in the program. You will get more out of your MBA experience if you have support at home and the office. It is one of the most challenging, yet rewarding experiences in my life.